It occurred to me that the bounds of crowdfunding might be changing when a potential student suggested she might crowdfund to pay for a place on the master’s course I run. Effective crowdfunding fizzes with the energy and creativity of the self-motivated. Musicians, filmmakers, artists, writers and product designers or startups routinely call for contributions through digital platforms such as Kickstarter. The success of crowdfunding in the creative and business sectors has cash-strapped councils wondering if it’s not the answer to their problems, too. Crowdfunding is increasingly being put forward by local authorities as a way of enabling democratic participation and a means of funding initiatives. According to guidelines from the Local Government Information Unit and Spacehive, Manchester, Liverpool and Plymouth councils, Dorset county council, and 16 London boroughs have all used it as a means of raising revenue. Spacehive, one of the UK’s leading civic crowdfunding platforms, is currently collaborating with the London mayor Sadiq Khan. 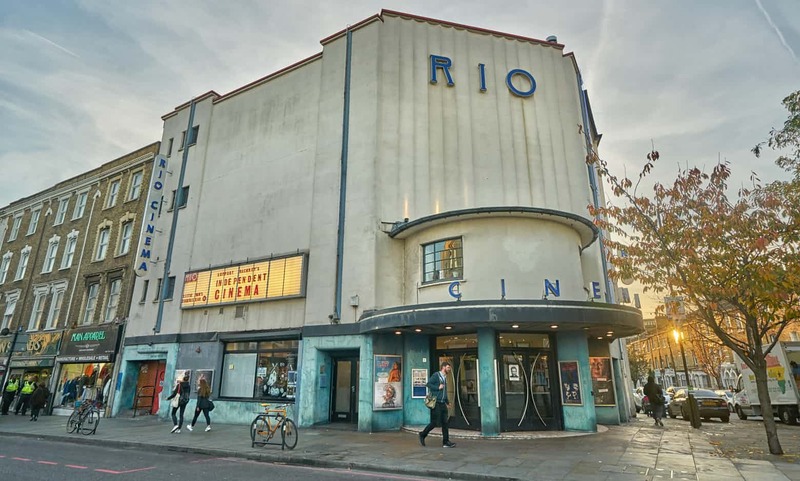 He is backing 25 projects in London, including the refurbishment of Hackney’s art deco Rio Cinema and a community cafe for at-risk locals in Turnpike Lane. Such initiatives seem straightforwardly positive and inclusive. But scratch beneath the surface of the community garden or light festival, and it quickly becomes clear that other forces are at work. Truly representative decision making may not be as easy as marrying populism with entrepreneurial get-up-and-go. As with so many of our urban policies in the UK, this debate has already had a contentious hearing in the US. Proponents claim it as digital democracy in action, while critics see it as turning away from a commitment to the common good where considered decisions are taken by democratically elected representatives. Instead, some American commentators claim it is a short-term solution and amounts to a privatising of policy making, outsourcing decisions about what should be funded to a populist conception of “the public”, where those with the funds set the agenda. It goes without saying, too, that participants need to be digitally savvy – automatically excluding sections of the community. Rodrigo Davies, who previously worked with Spacehive, wrote a thesis at MIT’s Center for Civic Media on civic crowdfunding. In it he highlighted that crowd activities are “coupled with an individualistic, libertarian mentality that seems pervasive on the web”. More seriously, he points out that the model breeds inequality as the crowd funds “what the crowd wants to fund”. Projects with stigma attached to them, such as homelessness, addiction and mental health initiatives are rarely found on civic crowdfunding sites. 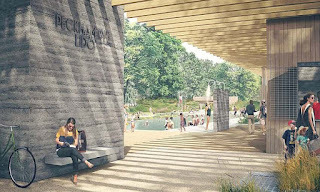 The list of Spacehive initiatives backed by Sadiq Khan is worthy of closer scrutiny along with the comments from members of the public – although, in this case, not the same public donating the money. Particularly contentious are the numerous library projects seen by some as a thinly veiled attempt to get volunteers to paper over the cracks created by widening austerity, echoing criticisms of the Cameron government’s much-maligned “Big Society” initiative. Particular vitriol is directed at the fourth-listed project on the mayor’s website, “Art Academy Takeover Newington Library”, which proposes that a private art school open a community space and gallery, extending its premises into the space of the former public library. “Whose community? Why can’t we have our library back?” queries one respondent. In the six years to March 2016, as civic crowdfunding gathered speed, nearly 350 libraries around the UK closed – hundreds more have gone the same way since. This new conception of the public, and the fall of a more traditional version where local residents enjoy free services available to all, seems a valid parallel to draw. 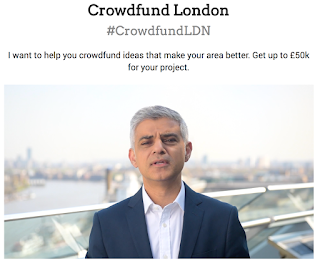 Local authorities would be the first to admit that dire resource constraints are behind their enthusiasm to crowdfund. But the favoured concept is “additionality” – meaning this is a way for them to provide additional services, separate to the duty of democratically elected authorities to fund core services. Not only is this in question – the replacement of public libraries, which local authorities have a statutory duty to provide, undoubtedly skirts the line of core services – but the very idea of additionality is problematic. It is the Trojan horse by which new models that have not been scrutinised by democratic processes are introduced into government. This is what happened with the introduction of Business Improvement Districts to the UK in 2005, another concept lifted directly from the US. In this scheme, businesses in a defined area pay an additional tax or levy to fund consumer-oriented projects or activities within its boundaries. Hundreds of BIDs have mushroomed in urban areas of the UK, and critics claim they have changed their culture and social composition. In the same way, civic crowdfunding on its own is not going to transform the way local government operates. But it is part of a patchwork of many overlapping processes that leave lines of accountability blurred and reflects the wider erosion of representative democracy. More immediately, it raises the spectre that as the funding climate gets ever worse only a certain type of entrepreneurial urban project will make the grade – one that lends itself to a dash of good marketing. Finalmente un articolo critico sul crowfunding. 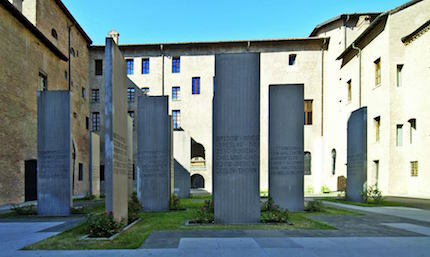 Letteralmente significa “finanziamento della folla”. E' uno strumento che si basa sulla raccolta di finanziamenti mediante piattaforme online. Lanciato negli Stati Uniti da Brian Camelio, un musicista e programmatore di computer di Boston programmatore, come un sito web dove i musicisti potevano cercare donazioni dai loro fan per la produzione di registrazioni digitali, si è poi evoluto per diventare una piattaforma online per la raccolta di fondi per progetti cinematografici, video e fotografici, e di musica. Davis, che ha lavorato alla Spacehive - la piattaforma di crowdfunding britannica più popolare - e ha scritto una tesi presso il Centro MIT per i media civici sul crowdfunding civico, sottolinea che il modello genera disuguaglianze in quanto la folla finanzia "ciò che la folla vuole finanziare". Infatti, progetti per iniziative rivolte ai senzatetto, dipendenza e salute mentale, si trovano raramente sui siti civici di crowdfunding. Se questo diventa il modo per finanziare anche i progetti pubblici, non solo verranno finanziati esclusivamente cioè che la folla considera attraenti, ma secondo regole rispondenti alle logiche di mercato.